These pictures illustrate the damage that can occur when bluestone and crabapple stone are left unsealed. 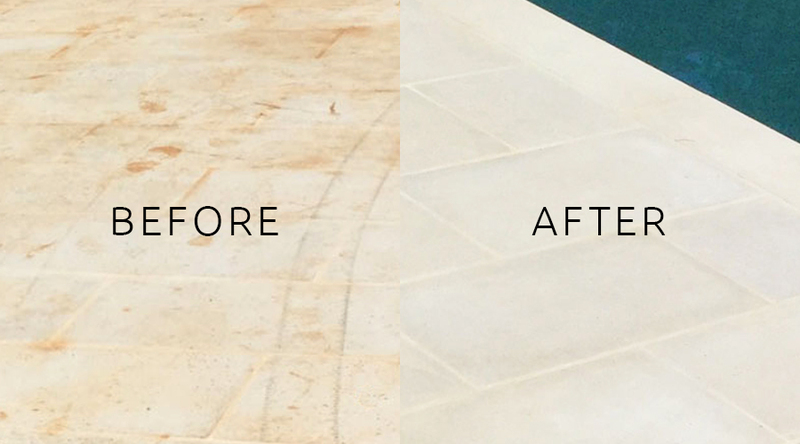 After extensive cleaning, repairs and sealing with EAP products, these stones are once again beautiful and will remain that way for many years to come. This is a perfect example of the damage that can occur when unsealed concrete pavers are left exposed to the weather and organic substances. 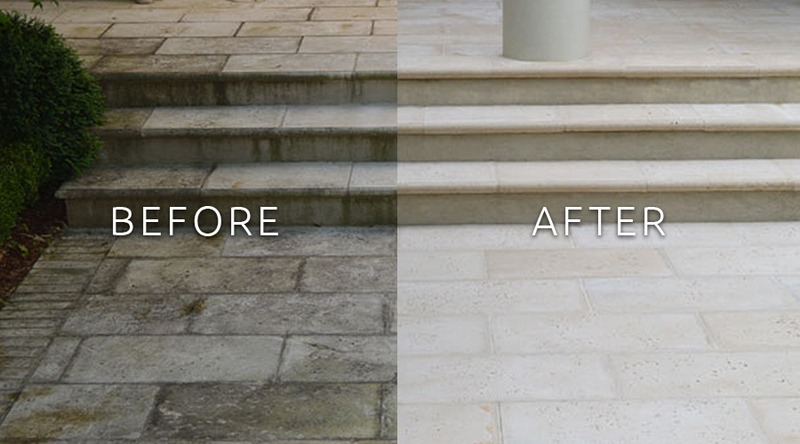 After cleaning and repairing, these incredible pavers have been restored and will remain beautiful with an EAP sealer. 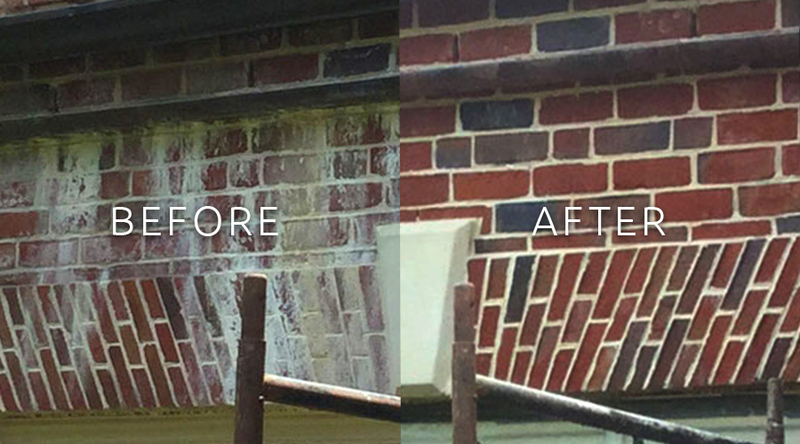 Brick can often be stained by mortar leaching and fungus. The “before” image shows bricks that have severely leached; even staining the keystone. 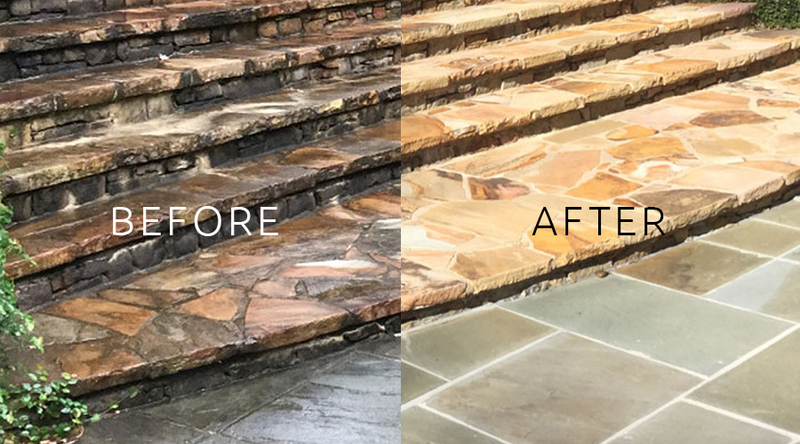 After cleaning, the bricks and keystone are returned to their original color and finish; ready to be sealed with our EAP sealer and protected against future damage from leaching and staining.